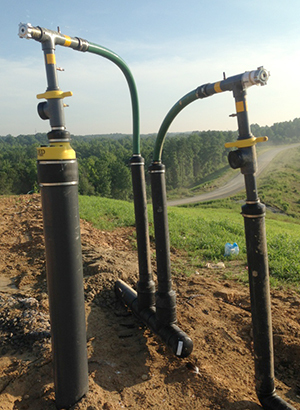 Maintaining regulatory compliance to prevent remediation is a priority; however, with unlined waste units remediation may be necessary. Our goal is to reframe the negative aspects of environmental remediation and utilize the by-products of remediation (recovered water, etc.) as assets at any project site. Our techniques can provide value to a project through reuse and management of recovered materials. Our expertise in Remediation includes the services listed to the left.